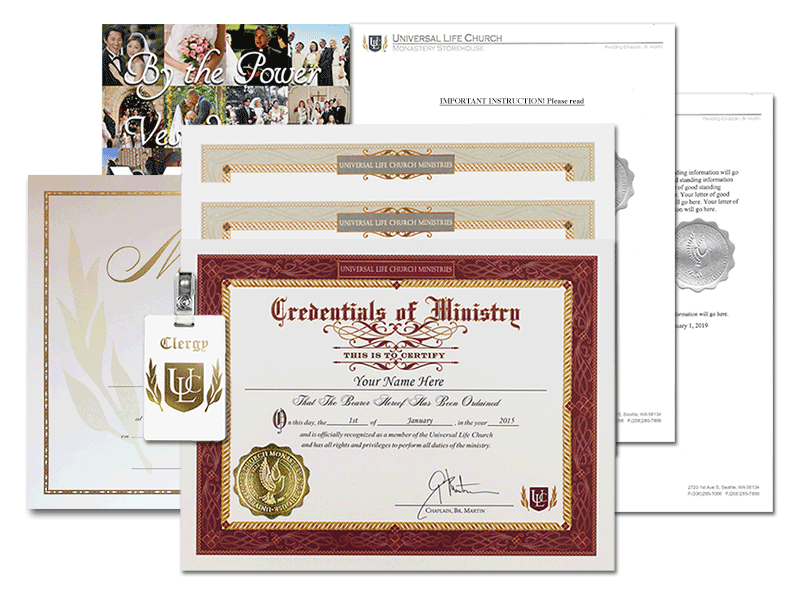 We have worked with the officials in Nevada to craft this kit that contains everything you will need to register as a wedding officiant in this state. Select the county in which you will be performing the wedding. Nevada counties require this. P.O. Boxes not allowed. If you are planning to perform a wedding ceremony in the State of Nevada, then this is the product that you will need. Nevada is one of the few states that require all ministers register prior to performing a wedding ceremony. You will need to order this documentation no more than 90 days prior to the ceremony and no less than 30 days for your application with the state to be accepted and processed. We send your this packet of legal documents fully filled out and completed with our required information. You will then need to complete your portion of the application, and send it along to the clerk or take it into their office to register. Once you are on the approved list, you may perform the wedding ceremony. Please be aware this may incur an additional application fee through the clerk's office. Please enter your physical address on the Nevada documents. NO P.O. Boxes. Must be submitted 30 days prior to the wedding date. Letter of Good Standing expires after 90 days.